Ask me my favorite ice cream bar when I was little? 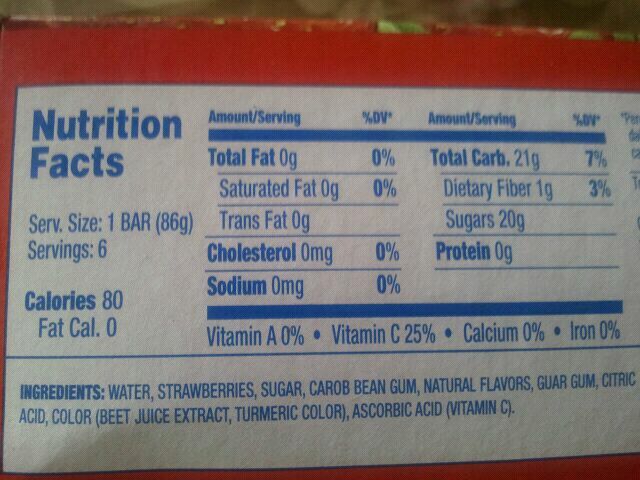 Strawberry Shortcake bar. Favorite ice pop? Strawberry frozen fruit bars. (can we see a pattern emerging?) I was also told as a child that when eating my favorite fruit, strawberries, (which strangely enough, is not my favorite fruit anymore- I’ve graduated to the apple!) my entire face and hands would turn red. That was compltely uneccessary to share, but now you know one of my flaws. I was a messy strawberry eater as a child. Shame on me. 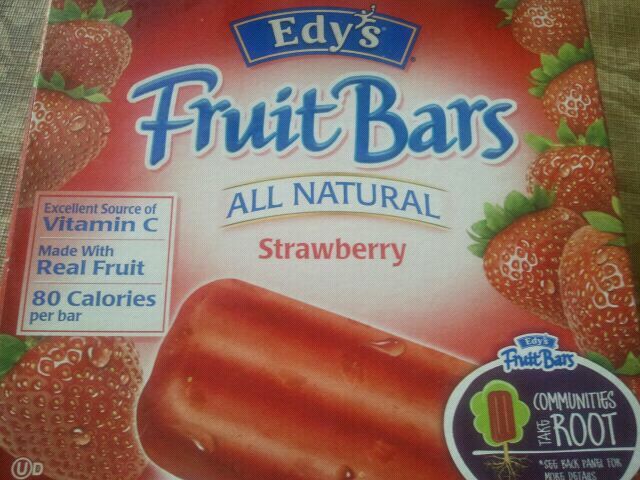 ANYWAY, I saw these Edy’s Frozen Strawberry Fruit Bars in my freezer today, and decided I NEEDED to have one. How they got there, I don’t know. I suppose the appropriate thing to do would be to ask whoever bought them if I could eat one, but that never works nicely in this house. Which I then proceed to eat anyway and get yelled at, or not eat and wish I had eaten it. SO, as they say, ignorance is bliss. 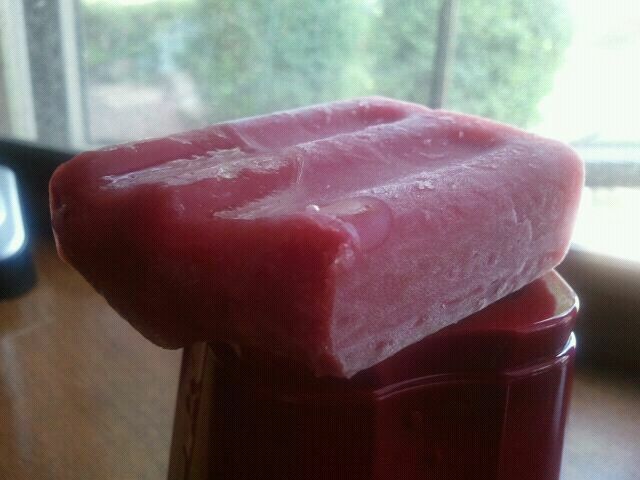 Or, ignorance= me eating strawberry ice pops. So, now finally, enough of my rambling. Here’s how they tasted! These bars had a very soft bite to them- I was surprised! I was expecting a harder, more icy product, but they were soft. Almost like they were strawberry ice cream bars. They also were not as sweet as I had hoped for, they were a bit toned down. Although I did like that because it wasn’t super sweet, it gave it more of a natural fruit product sort of feel. One thing I do wish is that there were more strawberry peices/chunks. In my bar, I think I only spotted one! What is your favorite ice cream bar and ice pop flavor? 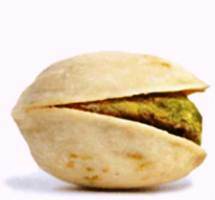 For more posts and reviews, please visit www.healthnuttxo.com !